Saturday, February 2nd. 9:30 a.m. - 12:30 p.m. 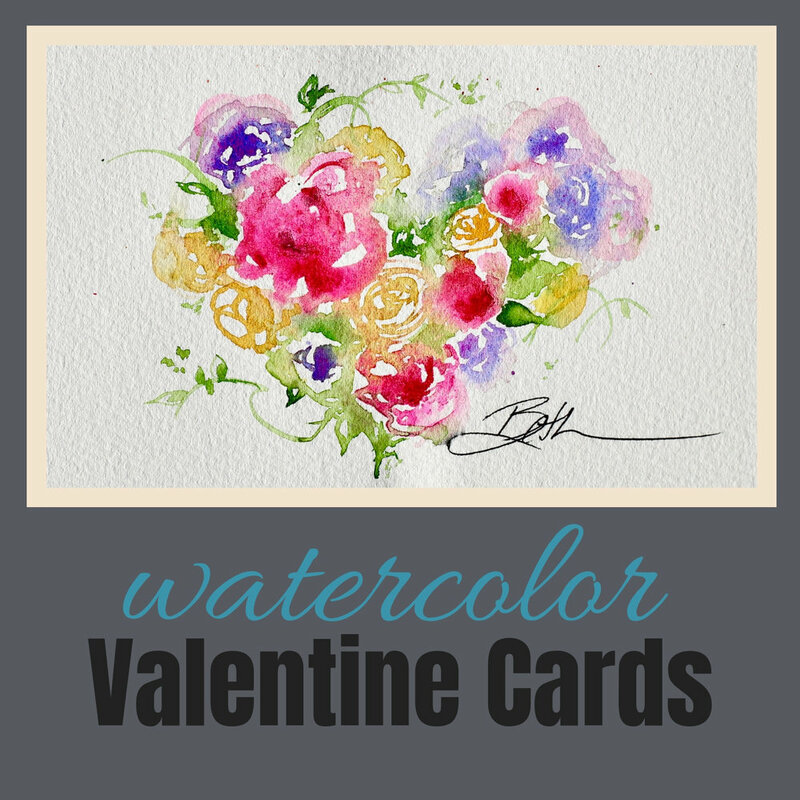 I am delighted to bring you this holiday related workshop where the subject of the “love” is used to introduce or build on the wonderful medium of watercolors. Watercolor has a unique personality. I have been exploring this medium for over 11 years. It still surprises me and excites me. In this 3 hour workshop I will teach you washes and techniques to interpret hearts and other valentine themed subjects. I will guide you through the process with demos and then time for you to create your own three separate notecards. Your experience will equip you to move forward with watercolors to paint more of these fun small canvas size paintings. No experience is required. All levels are invited. Come as you are with curiosity and a desire to learn more about the wonderful medium of watercolors. arches 140# cold press paper 5 sheets, 4" x 6" (must be professional grade watercolor paper, like arches brand) I talk about paper here. *** please note, For your convenience I have these supplies available for purchase in my studio.